Day 1: Flight to Mineralnye Vody. 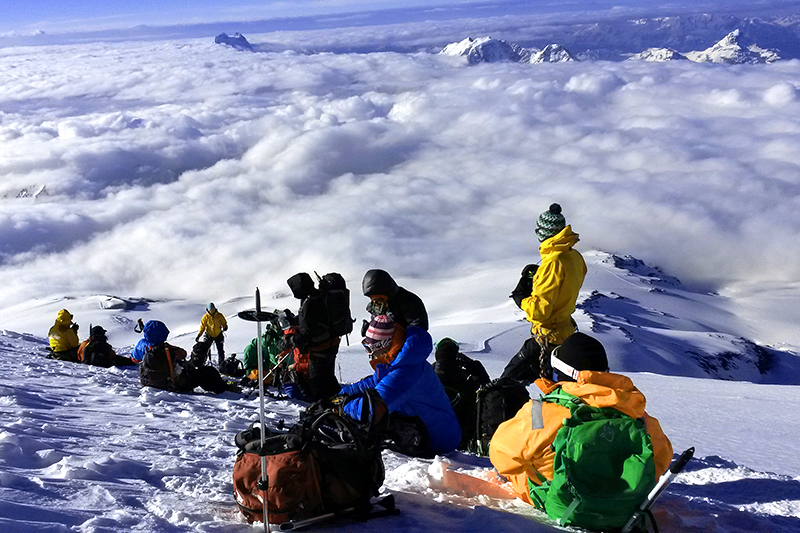 Meet at the airport and 3,5 hours bus ride to the Mt Elbrus area. Accommodation at the hotel on Cheget Glade. 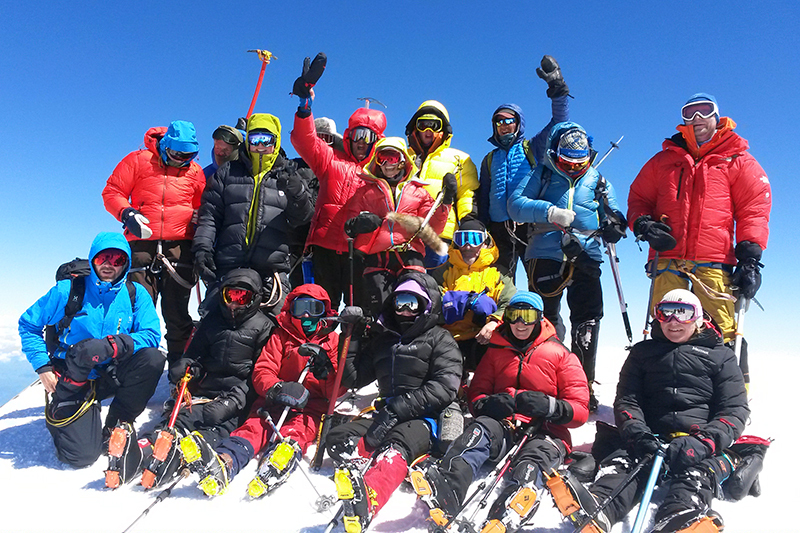 Day 2: Acclimatization ascent up to the Cheget Mountain 3460m, 4 hours walking up. Return and overnight at the hotel. Day 3: Ski lifts from the Azau Station (at 2350m) up to the Garabashi Station (3800m). Get places at the Garabashi (Barrel) huts just near to the ski lift station. 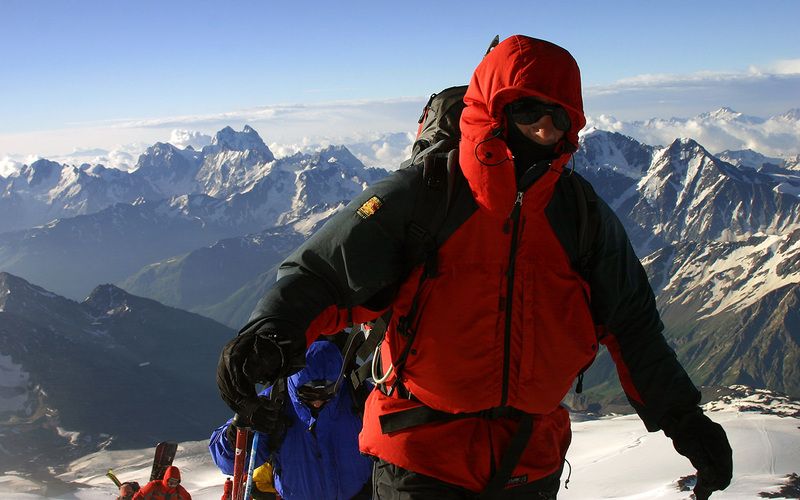 Acclimatization hike up to 4100m. Return to overnight at the Barrel huts. 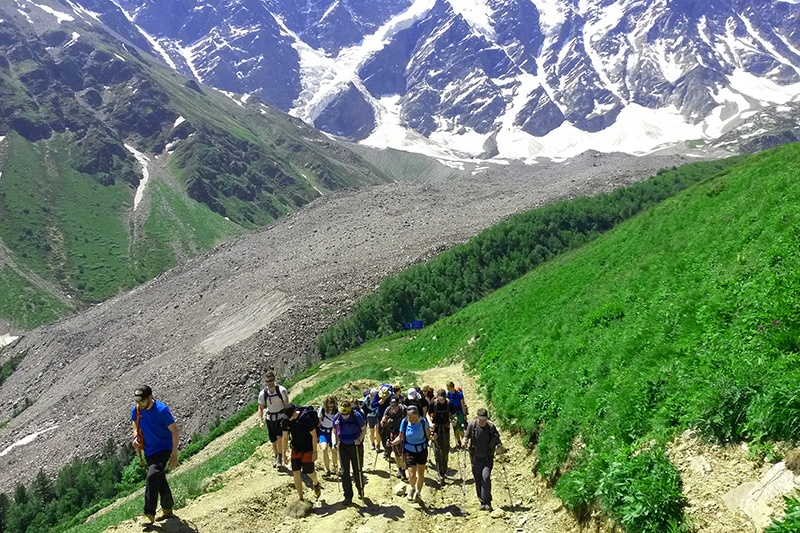 Day 4: Acclimatization hike to the Pastukhovo Rocks up to 4800m, 3,5-4 hours. Return to the Barrel huts. 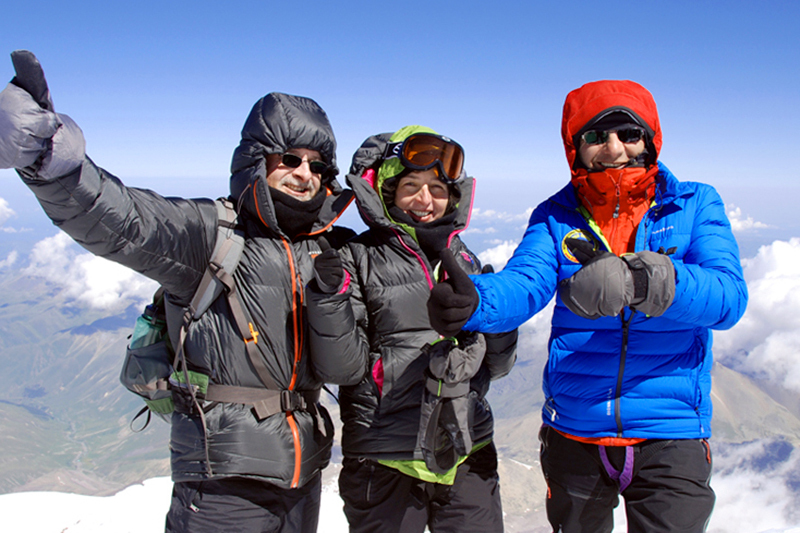 Day 5: Summit day. 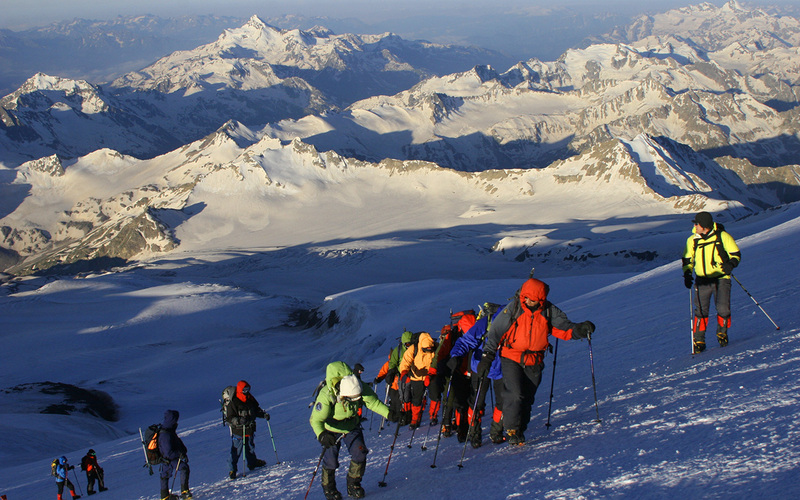 Leave the huts in the very early morning (about 2-3am) to climb the highest - west peak of Mount Elbrus, 5642m. 9-10 hours walking up. Return to the Barrel huts. 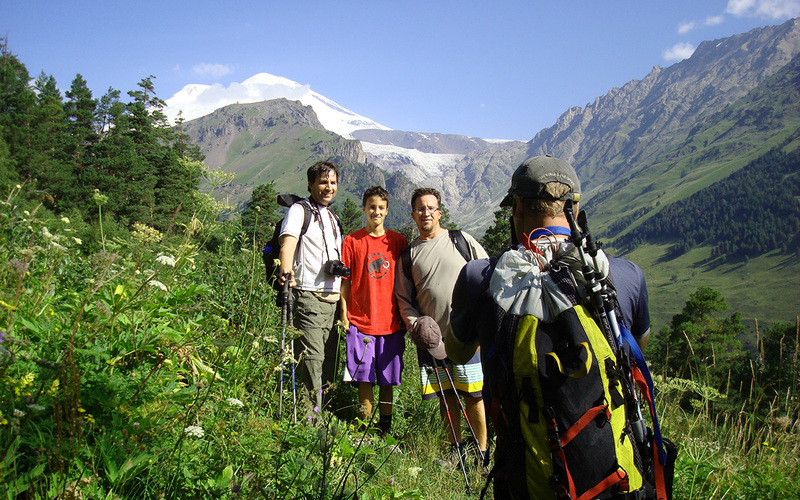 Day 6: Reserve day to climb Elbrus (or descent to the hotel in the valley). Day 7: Return to the hotel in the valley. Overnight stay in the hotel. Day 8: Bus journey to the Mineralnye Vody airport. Departure.